Kim is an experienced movement educator with a robust performing, choreographic and teaching career that has taken her all over the world. Since 2000, Kim has maintained a private Pilates practice specializing in cross-training dancers and working with her husband, Bob Turner, on pre and post surgical cases. Their company, Movement CoLab, is the culmination of many years of collaborative work, which blends their respective areas of expertise in movement and rehabilitation through a creative lens for each individual client. Their approach is focused on delivering clients back to their fullest movement potentials with lasting results. Kim’s workshops have brought her to teaching on platforms such as, the Pilates Method Alliance Annual Conferences, Balanced Body® presents Pilates on Tour®, International Association for Dance Medicine Science (IADMS), SPRINGS – Köln, Polestar Pilates Australia (Melbourne and Sydney), Danceworks-Berlin and Polestar Pilates Asia (Bali and Japan). Kim teaches modern dance technique in the Nikolais/Louis Tradition, which focuses on developing the performance quality and unique artistic voice of each student. 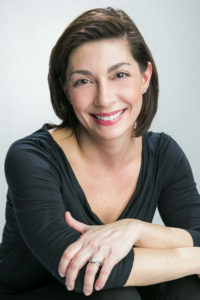 She has taught modern dance technique, choreography, improvisation, repertoire and directed student touring companies at Mason Gross School of the Arts, Shenandoah Conservatory, Nikolais/Louis Summer Dance Intensives and the Paul Taylor Dance Intensives. She is responsible for the curriculum design and implementation of the Polestar Pilates Teacher Training Program at Mason Gross School of the Arts – Rutgers University, where she directed the program for from 2013-2017. The launch of this program marked the first 450-hour Pilates Teacher Training Program to be offered at the university level in the USA. The Polestar Pilates Teacher Training Program at Rutgers University is the first and only teacher training program to use the Pilates Method Alliance Board Examination as its exit exam. She has served as a model for Pilates articles and has also written several articles for Pilates-Pro.com and Pilates Style Magazine. Kim has been featured in and interviewed for Dance Spirit Magazine and Introduction to Modern Dance Techniques by author, Joshua Legg. In addition to her private practice, Kim is a Polestar Senior Educator, curriculum writer and workshop presenter. Kim strives to develop workshops that bridge the gap between health care professionals and Pilates professionals, in an effort to offer clients integrated movement experiences. With Bob, she develops courses, to offer unique teaching and movement strategies for challenging case studies and pathologies. Kim holds a BFA from Mason Gross School of the Arts at Rutgers University, a MA from NYU-Steinhardt School and a MFA from University of Wisconsin-Milwaukee. She became a Board Certified Pilates Teacher through the Pilates Method Alliance in 2005. In August 2017, Kim completed her 200-hour Yoga Teacher Training Certification at the Laughing Lotus Yoga School in New York City, where she has been studying since 2005. Kim has been proudly serving her Pilates community for many years through her work on Pilates Method Alliance committees. She was the Vice-Chair and Secretary of the Certification Commission for six years. She has served on the Item Writing and Item Review Committees. She served on the 2016 PMA Teacher Training Summit Taskforce. Currently, Kim is a member of the Board of Directors and Co-chair for the Art of Overcoming Pain, 2018 Pre-conference event. Kim had the great honor of being mentored by two legendary American Modern Artists, Murray Louis (dancer/choreographer/educator/author, b. 1926 – d. 2016) and Tom Caravaglia (photographer/educator, b. 1928 – d. 2014). She takes great pride in perpetuating their legacy through her service work. She is deeply invested in mentoring and sponsoring young professional dance artists and Pilateros in honor of Mr. Louis and Mr. Caravaglia. Kim and Bob also offer pro bono services to Shen Wei Dance Arts.